(CNN) Trump administration officials, including the President's daughter Ivanka Trump, will begin interviewing candidates to become World Bank president in the coming days, people familiar with the matter said. Like many bank employees and those in the global development community, the White House was surprised by the abrupt resignation last week of the incumbent World Bank president Jim Yong Kim, three years ahead of his term expiring. The American president traditionally chooses the organization's head, but because the vacancy wasn't expected until after the 2020 election the Trump administration did not have a shortlist of successors ready to go. It is likely that the Trump administration will select someone with a financial or business background for the job, people familiar with the decision-making said, though aides are not constraining the President's options at this point. Then-President Barack Obama broke tradition by selecting Kim, a trained physician and university president. 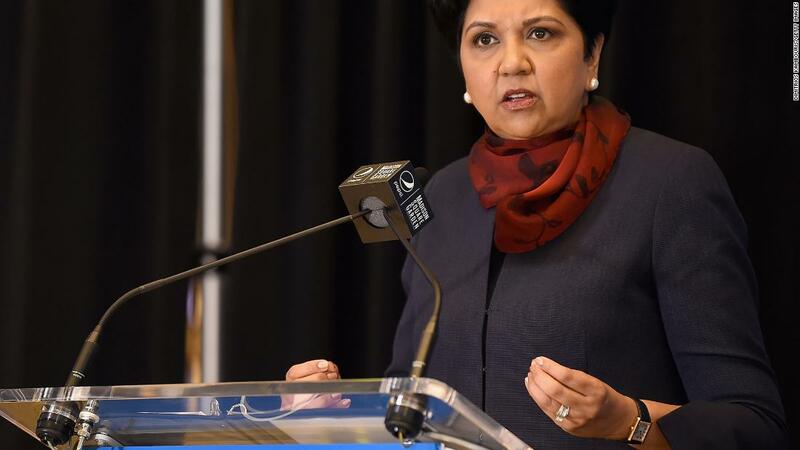 Nooyi, who stepped down from Pepsi last year, is considered by administration officials an early favorite if she is interested. During a dinner at his Bedminster club last summer, Trump heaped praise on Nooyi, who was seated at his table. At the time she'd recently announced her departure from the beverage giant. "I read a beautiful story about you today," Trump said during the public portion of the dinner. "You'll be doing bigger and better things." Ivanka Trump has called Nooyi a "mentor and inspiration" on Twitter. The President's daughter and adviser has been the White House's main conduit to the World Bank as it launched a women's entrepreneurship initiative, and along with Treasury Secretary Steven Mnuchin and acting chief of staff Mick Mulvaney, she will help guide the administration's selection process for the next president. "Secretary Mnunchin and Chief of Staff Mulvaney have asked Ivanka Trump to help manage the US nomination process as she's worked closely with the World Bank's leadership for the past two years," a White House spokeswoman, Jessica Ditto, said on Monday. Earlier, some had speculated Ms. Trump may herself be a contender for the job. The White House said on Monday that was untrue. "Reports that she is under consideration are false," said Ditto. The White House did not provide a list of candidates and didn't respond to a question about Nooyi. Inside the administration, there is a recognition that any pick could be opposed by countries who believe it is time to end a decades-old gentlemen's agreement that allows the US to name the head of the World Bank. Since its founding, the World Bank has been led by Americans, all of whom were appointed by the US president. The United States is the bank's largest shareholder. The practice has drawn criticism from some other nations, who have insisted the bank's focus on providing loans to developing nations requires participation by leaders from other regions. The leader of the World Bank's sister organization, the International Monetary Fund, has always been European.